A water-resistant smartphone offers peace of mind when you need to pull it out in the rain. It’s positively vital if you drop it down the toilet or in the bath, though its protective qualities also enhance the possibilities for those of a creative bent. Take Frederic van Strydonck. 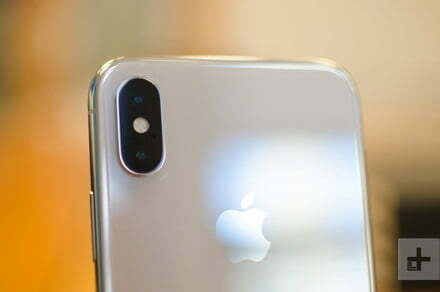 The London-based filmmaker recently decided to have some fun with his iPhone X, Apple’s flagship handset that’s capable of surviving dips of up to 30 minutes in shallow water. Frederic said that initially he just wanted to test out the phone’s ability to handle multiple dunks while shooting short video clips. But he soon realized that the dreamy sequences he created could make for an interesting short film. The whimsical short that takes the viewer to multiple locations, a new one revealed as the camera emerges from each subsequent dunk. But before you rush out and dive into the nearest lake, river or ocean with your iPhone X, be aware that intentionally submerging the device may not be the best course of action for your $999 phone. Its water resistance has been tested to a depth of one meter, and Frederic is keen to point out that while shooting the film, he erred on the side of caution by submerging only a part of the phone for each shot, and was sure not to leave it underwater for long periods. In other words, putting Apple’s high-end phone underwater for longer than necessary is really done at your own risk. With the iPhone X costing as much as it does, the fact is you’ll want to get yourself a durable case to protect it from knocks and drops, though some cases also offer increased protection against splashes and dunks, too. Digital Trends has pulled together a collection of some of the best iPhone X cases available today, with price tags ranging from as little as $4 all the way up to $175.